Address: 50 Bridge St, 7025 Richmond, Tasmania, Australia. We did not complete the whole Bruny Island trip because partial of the road in the island was closed for construction work. Half way through the road down to south, we decided to make a U-turn and head back to the port and board the next ferry back to the mainland. There was a long queue for the ferry because it was approaching off work time. While waiting for the ferry to begin its journey, we googled for our tea break location. We have plenty of choice and we chose to head down to Richmond, which is a city rich of the historical buildings. 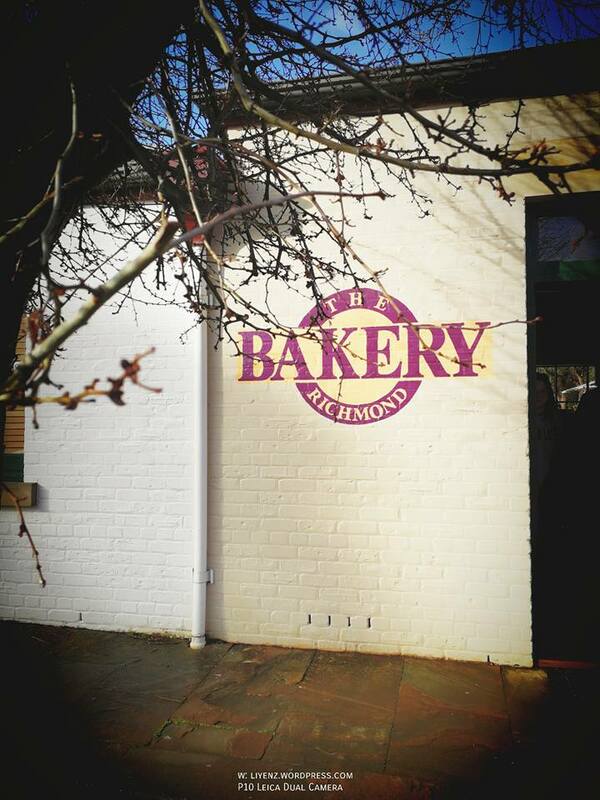 Upon reaching the mainland, we drove to the Richmond Bakery to have our tea break with all my friends. It was raining drizzling when we reached the bakery shop and a few couple of people sitting inside the shop having their teas and pies. The bakery shop did not have many choices left for us to choose. We placed our ordered and tried each of almost everything that they are still serving. It included pies, scone, muffins and cakes. As for drinks, we tried their hot chocolate, hot teas and one of their cold drink. 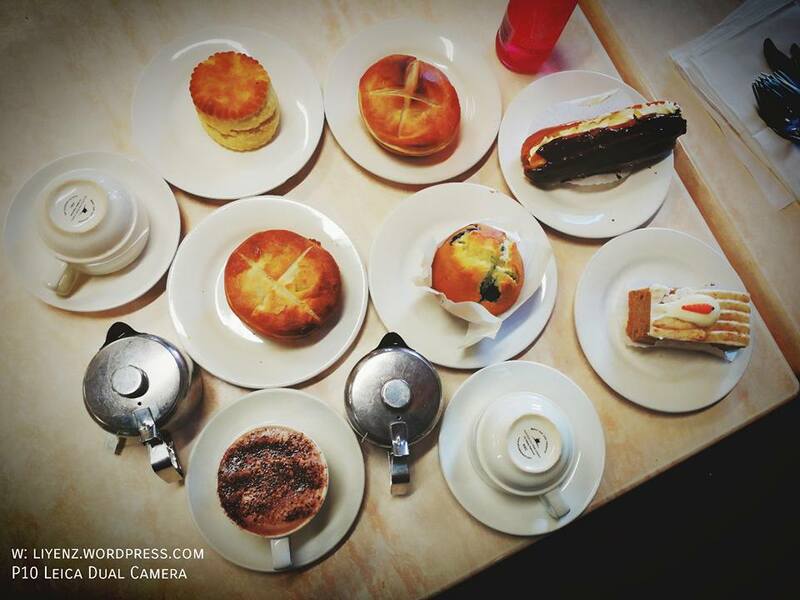 It is a lovely top view picture of our tea time at Richmond Bakery. Again, these are shared among us. The taste of all the above is just normal. If want to compare the pies with Jackman and McRoss, I will say, let drive all the way back to their bakery and eat there instead. Thinking that we shall have a decent meal for dinner that night, we did not spend too much time eating here and drive back to our home to prepare dinner. We have bought some pizza dough and we can make our own pizza from the oven. Perhaps, in my next visit to Tasmania, I shall travel to this place to see the historical building and the beautiful scenery in this quiet town.